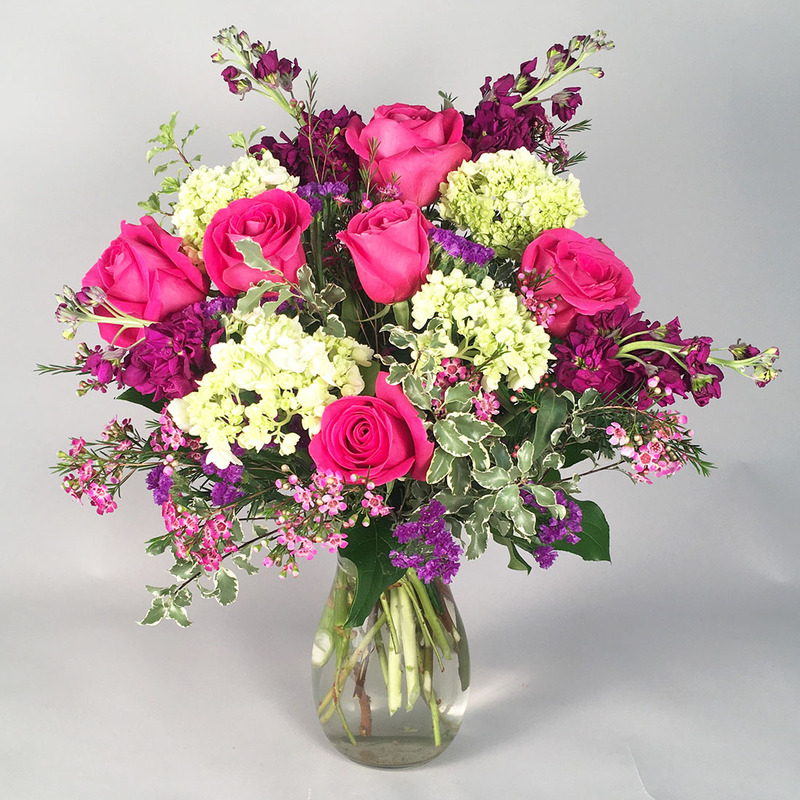 A wonderful color splash with beautiful bold pink roses at the center of attention. Surrounded by lavenders and purples really makes a favorite in our catalog. A popular color combination for sure. 24 inches tall and 18 inches wide. Premium- Go to that next level with a larger vase and more of that pink and lavender passion to stop you in your tracks. This is a statement maker at over 26 inches tall.